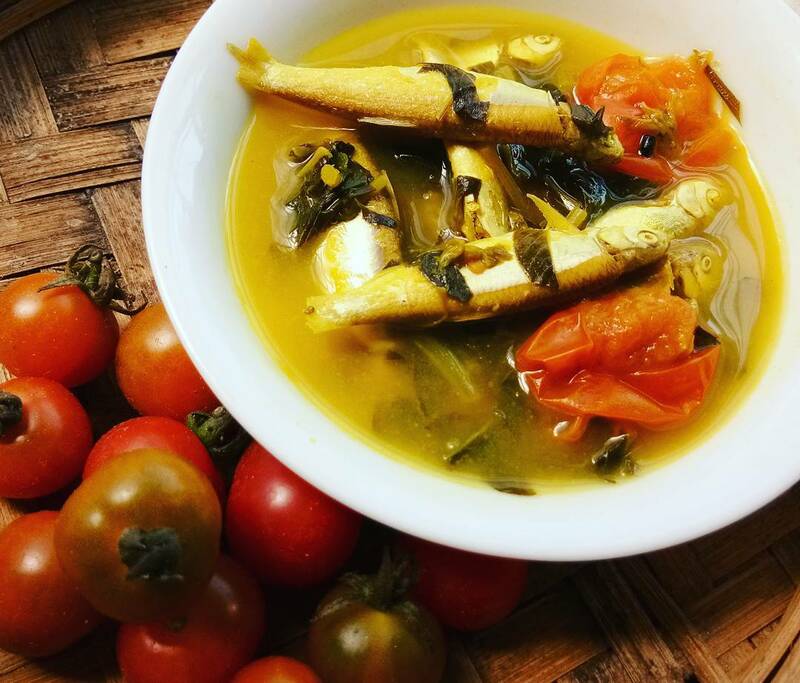 Today we have a refreshing and light fish curry from one of our favorite Recipe Contributors Geeta. The small fresh water Boroila fish when cooked with khutora xaak, a variety of Amaranthus and tangy cherry tomatoes, tastes the best when the weather becomes all dry. Lastly, add Boroila fish to the curry, close the lid and let it simmer for about 15 minutes. Serve this refreshing dish with piping hot rice. These tangy cherry tomatoes and the greens along with the fresh Boroila fish are a perfect combo for this weather.